The first time I remember hearing about a ladder match in wrestling was in 1992 when Bret Hart and Shawn Michaels battled in one for the WWF Intercontentinal Championship. The match wasn't televised, but I think WWF Magazine published pictures of the event. Less than two years later, Razor Ramon and HBK would do battle in one of the most memorable ladder matches in the history of the business. 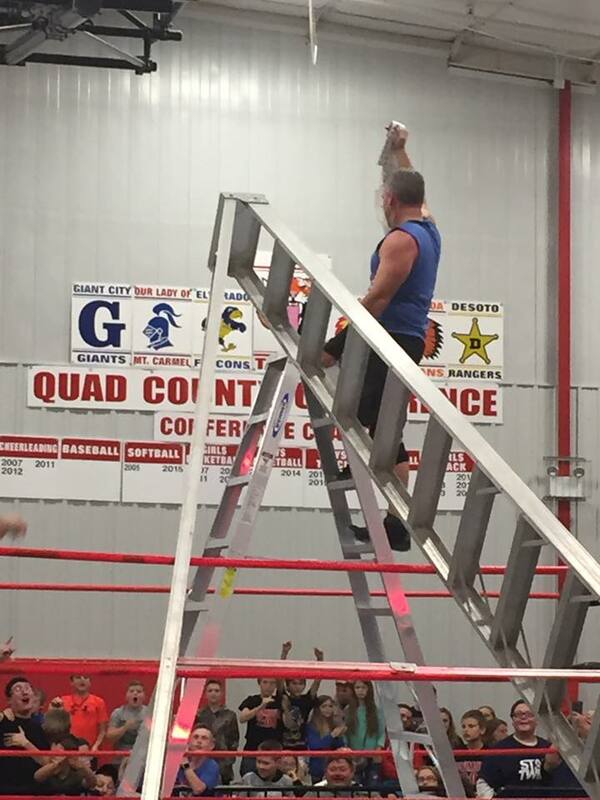 In those two decades, there have been countless ladder matches. I've even called one during my days with All American Pro Wrestling. 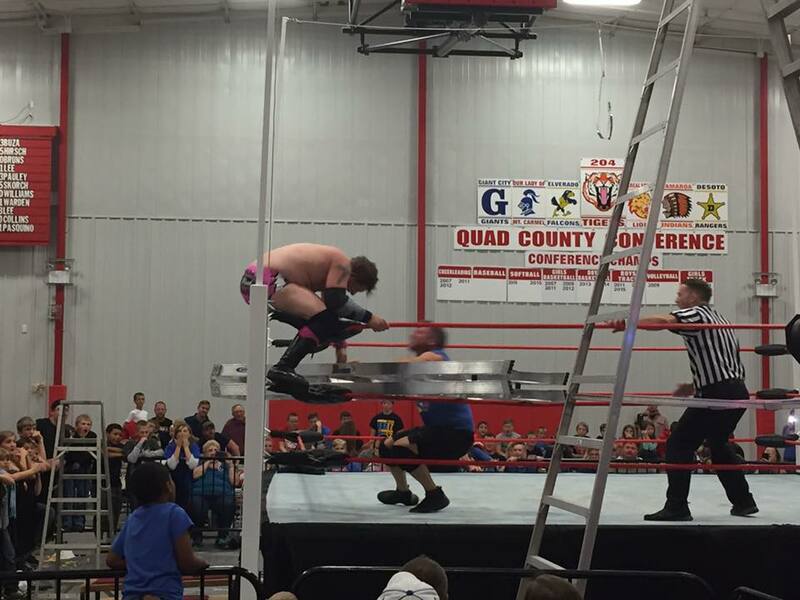 Over the weekend I witnessed another one on the indy circuit, featuring "T-Dog" Jerry Travelstead against "The Canadian Saint" Tony Flood. The two were vying to become the first ever Stride Pro Wrestling Legacy Champion. Quick backstory Jerry is a school superintendent and principal here in southern Illinois. He's a huge wrestling fan and has held a few benefit shows for his school, Community Consolidated School District 204. Not only has Jerry promoted a few wrestling shows, he's also trained and wrestled several matches. 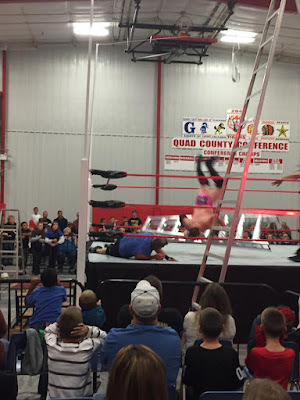 He and Flood, who is an accomplished indy wrestler, have had a grudge brewing for most of the year in Stride Pro Wrestling. 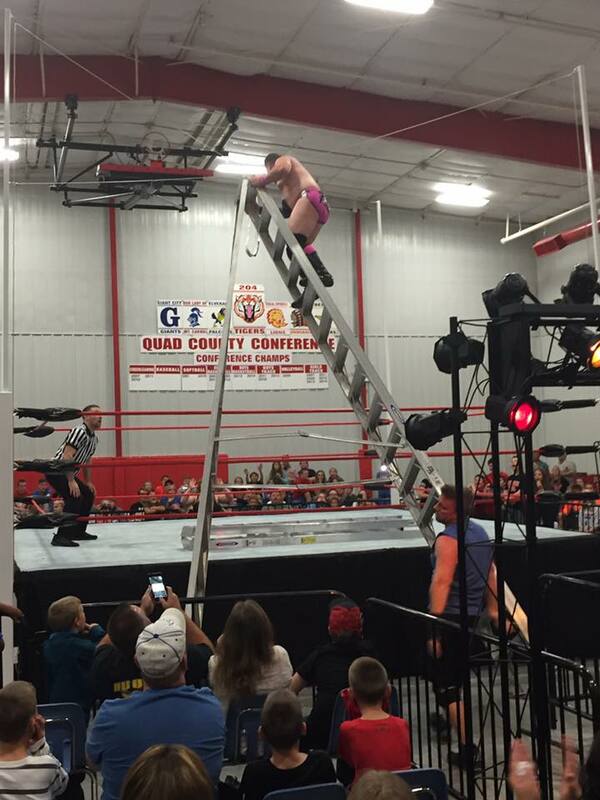 Saturday night's ladder match was nothing short of spectacular. Both T-Dog and Flood put their bodies on the line to show just how determined each is to win the Legacy title. 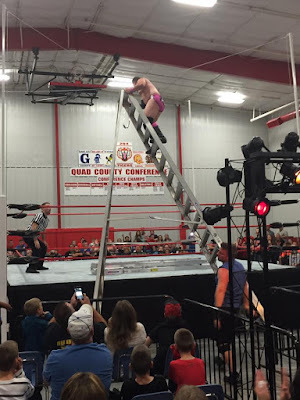 The match took a huge turn when Flood climbed to the top rope with the ladder in his hands and did a moonsault. T-Dog moved just in time and Flood crashed to the mat with the ladder. The crowd let out a collective gasp in the process. The battle continued for a few minutes and T-Dog took advantage of Flood being knocked out of the ring and climbed rung by rung to grab ahold of the Legacy Title. He soaked in the cheers of students, family members and fans. Flood, who had visible welts and bruises, had to be helped back by ring crew members. I heard one young fan exclaim "He broke his leg!" I can tell you that's not the case, but clearly, neither man will be the same after this amazing encounter. Be sure to join Stride Pro Wrestling on Saturday, November 12 at the Redbird Rumble at Wrest Frankfort High School. Bell time is 7 p.m.